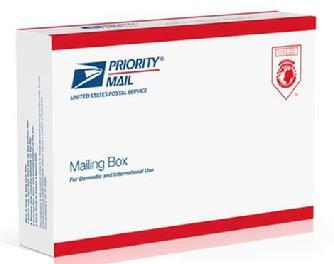 We ship all of our combustor products by US Postal Service Priority Mail. This generally take about three working days. We usually ship an order within 7 working days after we receive it. Therefore, you should receive your CS-200 Stove Combustor no longer than 10 working days after placing your order. However, we keep many sizes and shapes in inventory and are able to ship within 3 working days. Visit our Online Store ! If you don't recieve your order in this time frame, Please contact us for follow-up ! You will receive the new combustor that you select from "Our Catalog". You will also receive a Pre-Registered Warranty Card. Keep this card for your records. Additionally, you will receive a Maintenance Booklet and an Instruction Card explaining how to install and operate the CS-200 Combustor. 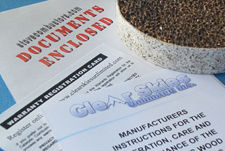 All shipments of our Combustor Products are insured by the US Postal Service. If you receive a damaged package, Please keep your "Priority Mail" receipt. If your combustor product is damaged, we will provide you with a new combustor immediately. YOU MUST NOTIFY US WITHIN 7 DAYS AFTER RECEIVING YOUR COMBUSTOR !